The Eldrid, an ancient faction charged with understanding and preserving the natural order of the physical universe trace their origins back to the Aztanti who once settled the planet Ekkunar. Long ago, Eldrid influence stretched across galaxies. Now, they – like everyone else in the Solus system – have fallen back and face extinction at the hands of the Varelsi. 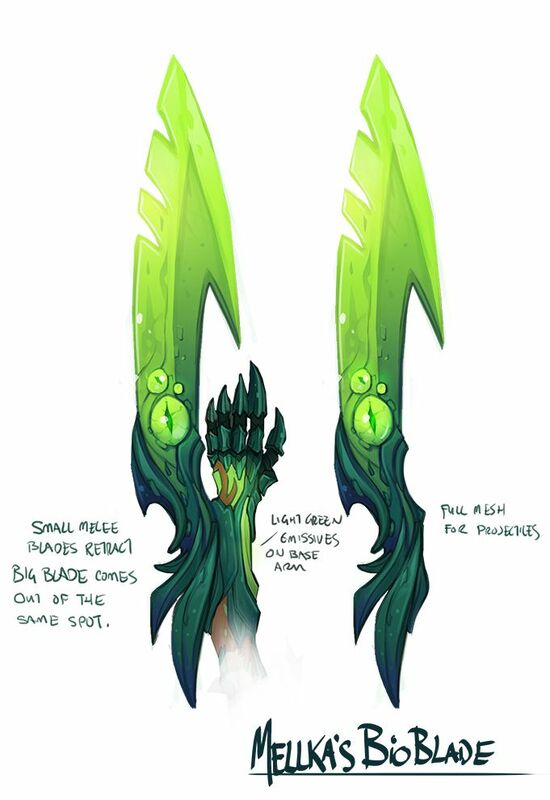 We recently cornered Battleborn’s Creative Director, Randy Varnell, and bombarded him with some questions about the Eldrid faction’s design. 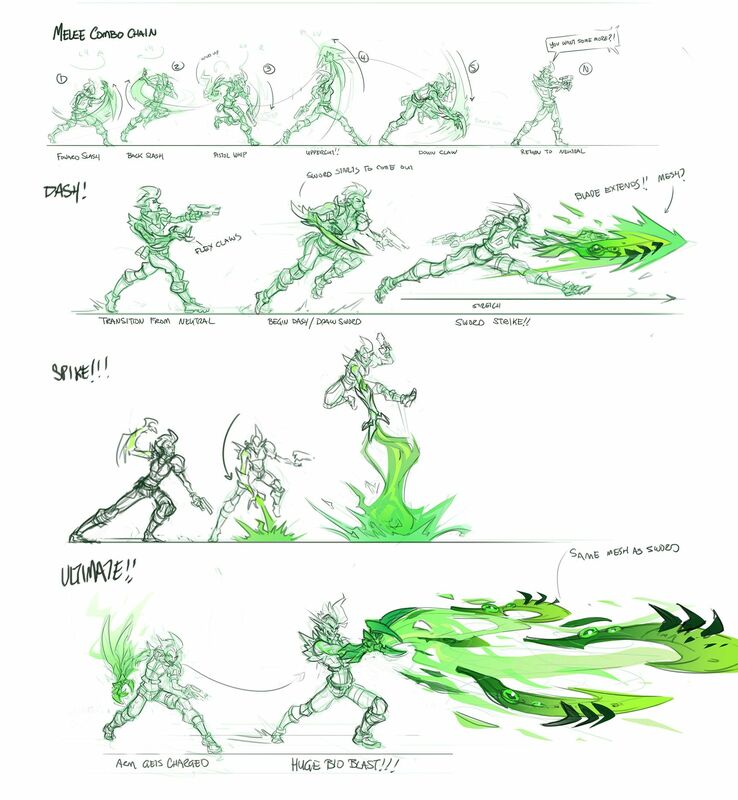 What did you want to get across when conceptualizing the Eldrid? The Eldrid’s first key word for us was “Nature”. We knew we wanted to take a group that could pull in more natural and fantastical influences into the design, but hold true to the science fiction we were creating without having to blame everything on “magic”. The Eldrid were created specifically for those who appreciate elves, dwarves and other magical beings, but want to take them for a spin around the Last Star. What influenced the design of the Eldrid? You certainly see that Nature theme woven throughout the Eldrid look. Eldrid factional armor tends to be flowing and organic and earth-toned. It echoes primitive undertones of plants, claws, or bones while harboring sophisticated inner-workings. We pull equally from classical fantasy, wild plant life, and great fantasy visualizations like Princess Mononoke or Nausicca: Valley of the Winds. What do each of the Eldrid characters have in common? What are some differences between them? All of the Eldrid characters pull in elements from nature. Thorn’s armor looks like insect chitin. Bolder crafted his shield from ancient runic ruins. Miko dresses in garments with strange sigils and signs. 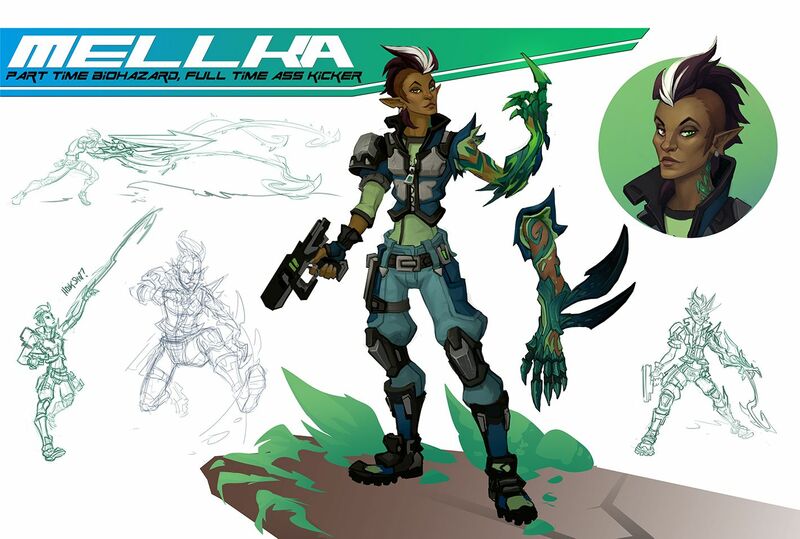 Even Mellka uses an artifact glove that has biologically mutated and grafted itself to her. But for all the themes, each Eldrid is quite different. 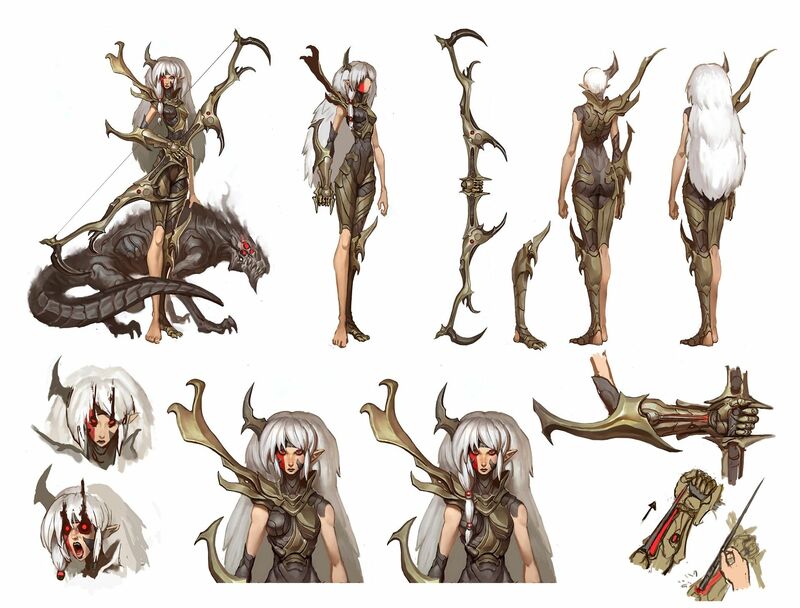 Thorn is Aelfrin. Miko is the last mushroom-like being of its species. Boldur is a strange dwarf native to Ekkunar. They are all willing to fight for Eldrid beliefs and causes, but they all do so in different ways. Can you tell us a bit about some core Eldrid abilities? The Eldrid are masters of biology, and so feature greater Health and Health Regeneration by default than any other Battleborn group. This helps compensate for their refusal to use shields. Advanced biological techniques are used for much of their gear, which is more grown than fabricated. Eldrid almost never use shields, for example, preferring to use other natural or biological techniques for tending to combat-related injuries. As Eldrid are very diverse in their cultures, every group has their own favorites and specialties in combat. The Aelfrin prefer bows and knives. The Ekkuni dwarves like heavy martial weapons. Miko biologically generates all of its kunai-thorns and spores as needed. What are some key characteristics of Eldrid weapons? They are organic and biological, using advanced natural structures to channel potent and lethal energies. Also, the Eldrid celebrate the significance of things they make. They often give names to their weapons. Well-constructed weapons are often passed down through a family lineage or to successors within an order, granting them legendary status in the fight to preserve order in the universe. Learn more about the Eldrid and their homeworld, Ekkunar.